Many people are not aware of what happens when they throw away their leftovers, but composting is just as important as recycling plastic bottles and cans because it affects climate change. 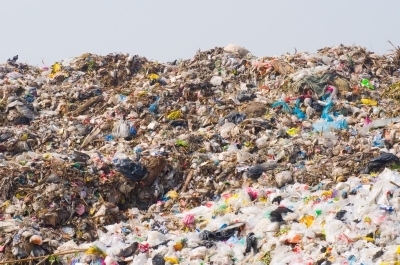 In Metro Vancouver, nearly 1 million tonnes of waste goes into our landfills each year. About 40% of our garbage is food. By 2015, all organic waste will be banned from the landfills. Why is it important to compost? When organic waste decomposes, it gives off carbon dioxide (CO2). Food waste will be covered in garbage and will decompose without oxygen and create methane gas (CH4), which is 20 times more potent than CO2. Both CO2 and CH4 are greenhouse gases (GHG). When too much of the gas goes into the atmosphere, it pollutes our air and creates a blanket around the surface of the earth. That blanket becomes thicker and thicker as we create more waste, while absorbing heat from the Sun. Our planet is now becoming hotter, which is known as global warming. Most municipalities in Metro Vancouver offer green bins to be picked up, usually once a week and taken to a composting facility. All consumable food waste, soiled paper (even pizza boxes), and yard trimmings can go into the organics cart. Things that are not allowed are plastic, metal, glass, pet waste, and diapers. Start a backyard, balcony or a worm compost. It is great for your garden because of the nutrient-rich fertilizer it creates to help the soil retain moisture. You can call your municipality to purchase a bin for approximately $25 each and they can help you set it up. Composting is not only great for the environment, it helps save us money. We can reduce the amount of food we throw away by planning meals carefully and buying fewer products with less packaging to avoid unnecessary waste. Municipalities in Metro Vancouver also save money by spending less on managing recycling and operational costs. Your tax dollars could be used on more important matters. The most sustainable way to manage waste is to compost. You can stay healthy by growing vegetables in your own garden or community garden, throwing the left over organic waste into the compost, and then turning it into fertilizer which goes back into your garden. This cycle converts all the organic waste from our landfills. We will have much higher air quality. Less garbage means fewer trucks on the road and fewer trucks on the road means less GHG emissions going into the atmosphere. Each household in Metro Vancouver produces about 860 kilograms of garbage a year. Just one household makes a huge difference. Imagine if every residential and commercial property in your community separated their food scraps and garbage. This would keep millions of tonnes of garbage out of our landfills each year and we would live in a much cleaner environment. Let’s encourage others to be more conscious of disposing waste and make use of the green bins. It’s time to take action!